Avant doom collective EYE OF NIX will play this year’s edition of Northwest Terror Fest alongside Witch Mountain, Woman Is The Earth, Falls Of Rauros, and Ragana. The band will be performing tunes from their Black Somnia full-length, issued late last year via newly launched Scry Recordings. EYE OF NIX will also play a special record release show February 2nd with additional live rituals in the plotting stages. Black Somnia is available digitally and in a full color gatefold LP presentation with 180-gram black vinyl, limited to 250 copies at the EYE OF NIX Bandcamp page at THIS LOCATION where the record can also be streamed in full. EYE OF NIX first began to create abrasive yet kaleidoscopic sounds in 2012. 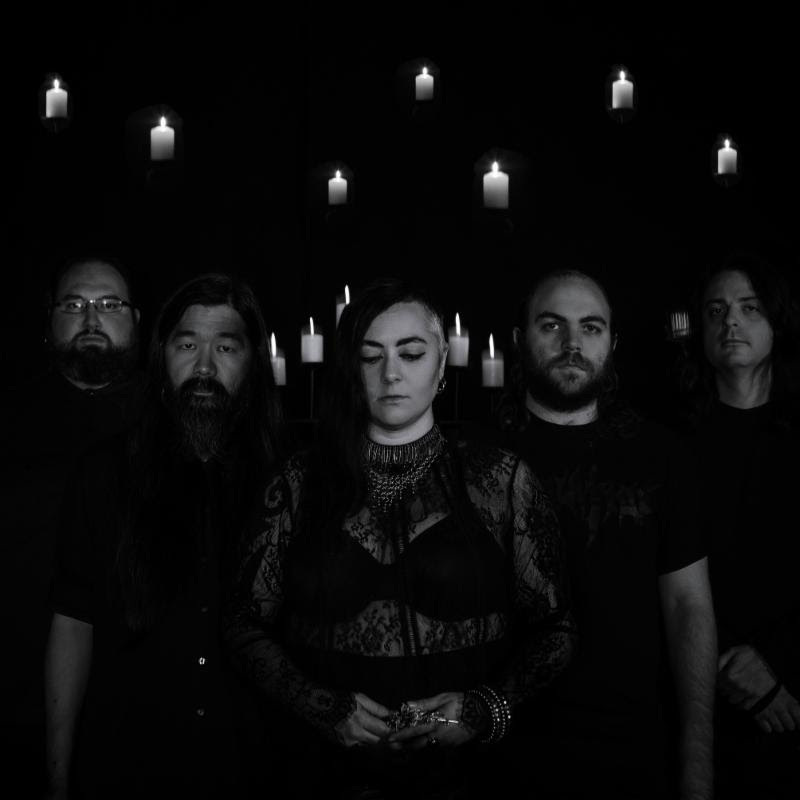 Current members — vocalist Joy Von Spain, guitarist Nicholas Martinez, bassist Zach Wise (Hissing), noise artist Masaaki Masao, and drummer Luke Laplante — strive to conjure music that’s threatening, beautiful, and harsh. EYE OF NIX toured the West Coast with noise veterans Blue Sabbath Black Cheer in 2013, then chose an expanded route including the Rockies and Southwest in 2015. Since their inception, EYE OF NIX has shared the stage with diverse notable acts such as Voivod, Jarboe, SubRosa, Sea Of Bones, King Dude, Lesbian, Worm Ouroboros, Eight Bells, Tengger Cavalry, and more. LONG LIVE EYE OF NIX.